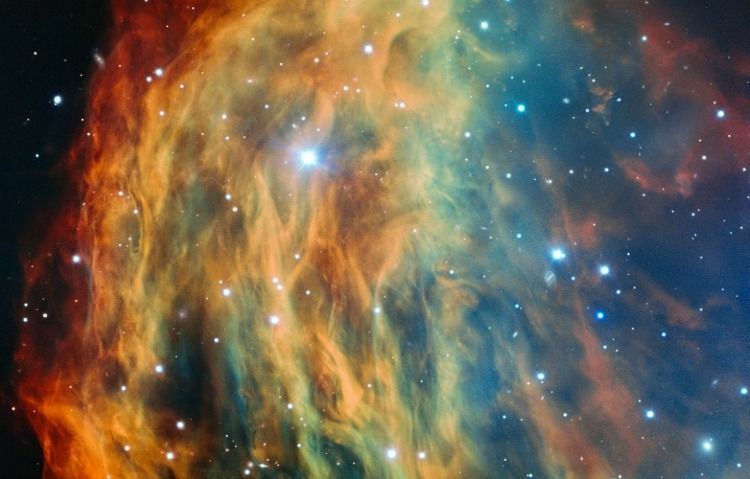 Researchers working with the European Southern Observatory’s (ESO) Very Large Telescope have taken the most detailed picture of the Medusa nebula ever, which also shows what will happen to the Sun when it inevitably dies. The nebula is roughly four light-years in diameter and rests about 1500 light-years from Earth, reports Phys.Org. It was named after the horrifying mythological creature Gorgon Medusa because the illuminated gases that surround the nebula resemble a crown of snakes. For tens of thousands of years the stellar cores of planetary nebulae are surrounded by these spectacularly colourful clouds of gas. Over a further few thousand years the gas slowly disperses into its surroundings. This is the last phase in the transformation of stars like the Sun before ending their active lives as white dwarfs. The planetary nebula stage in the life of a star is a tiny fraction of its total life span—just as the time a child takes to blow a soap bubble and see it drift away is a brief instant compared to a full human life span. The new photograph is part of ESO’s Cosmic Gems program that aims to use high-quality images to spread awareness about the universe and provide astronomical educational tools. You can see previous images taken by the Very Large Telescope here.